Colour: Bright cherry colour with purple reflections. Aroma: Aromatic and medium to high intensity, stand on first impression the balsamic aromas, eucalyptus, menthol, liquorice on an infusion of red fruits, ripe grapes, raspberries. Taste: Fresh, tasty and wide, with a good structure, slight hints of cinnamon and creamy notes. Lingering finish. A new and modern wine. Ideal casual dishes: salad with cheese and nuts, grilled vegetables (aubergine with anchovies). Great with red meats like beef tenderloin on the grill. Very satisfying with grilled Argentine beef. 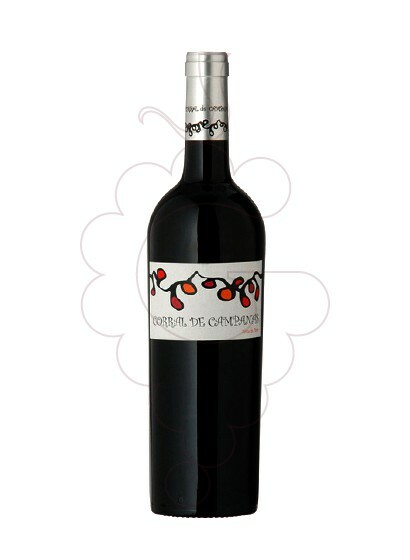 Corral de Campanas, red wine D.O. Toro, one of the more than 9000 products you can find in our online shop.